About Dr. Walter, M.D. 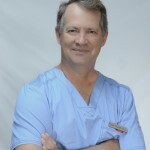 – Dr. Walter has pioneered the field of Regenerative Orthopedics for over a dozen years and is considered one of the top specialists in Florida. He is McGill trained (M.D, C.M.1980) and has a background in Family Practice and Sports Medicine. Dr. Walter trained with the top teachers of Prolotherapy in the world and for many years taught these techniques to residents and doctors in Central America with the Hackett Hemwall group from the University of Wisconsin. He is a member of the American Academy of Orthopedic Medicine and is founder of the Center for Regenerative Orthopedics in Sarasota, Florida. For more information please visit us at RegenOrtho.com and ProloMD.com or call (941) 955-HEAL (4325).